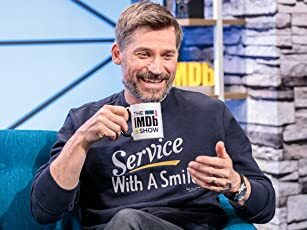 In which the public's disrespect of royalty grows ever deeper, Cruise gets stranger, some extremely dodgy TV shows prove worryingly popular, and Tesco tries to invade Denmark. Richard Ayoade to Host 2015 British Independent Film Awards. Observations of society and life by Armando Iannucci in comedy sketches and narration. A parody of educational programs. Just don't believe anything in the show is true. The exciting return to television of the comedians comedian Stewart Lee. This parody series is an unearthed 80s horror/drama, complete with poor production values, awful dialogue and hilarious violence. The series is set in a Hospital in Romford, which is situated over the gates of Hell. Stewart Lee's 2017/18 touring stand-up show, recorded live at the Palace Theatre, Southend-on-Sea, in April 2018. Garth Marenghi, Dean Learner and Todd Rivers are interviewed about working on Garth Marenghi's Darkplace. A surreal, ambient mix of bleak comedy sketches. Tom Cruise: I have read every book ever written! Test me! 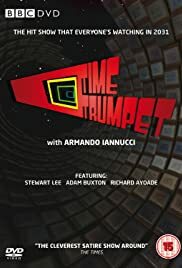 Time Trumpet was the brain child of Armando Iannucci who was one of the creators of the TV show 'I Am Alan Partridge' as well as several other clever comedy shows. It was a satirical take on current affairs from the perspective of looking back from 25 years in the future. The format allowed for a sketch-based show with contributions of various comedians and a variety of actors playing older versions of contemporary celebrities. This one seems to sort of gone under the radar a bit and never got beyond one season. I guess it was something of an acquired taste in fairness. I do recall, however, finding it absolutely hilarious when I saw it on its initial run, having just seen it again I have to admit to not finding it quite so impressive. But I think the main reason for this is that like other shows that focus on political satire it was very much of its time and much of the humour is focused on immediate events and don't work so well years later which I suppose is quite ironic given the premise of the show. For instance, much of the material is derived from the Tony Blair-Gordon Brown political axis. But of course from today's perspective, Brown is now seen in an entirely different light given his disastrous stint as prime minister. So from the perspective of today much of the satire is unsurprisingly dated. Nevertheless, there are moments of comedy greatness here that remain very funny. Some highlights for me were the segment about Tescos invading Denmark with incredibly advanced military technology, baying mobs chasing Justin Lee Collins through London and beating him to death on account of one of his pranks for 'The Friday Night Project' and the discovery of the dark secret that underpinned the 'Stars in their Eyes' TV show. The format of the series does allow a lot of scope for comic invention and this is certainly its strength as a whole. So while much of the political humour may be dated, there are several moments of comic class.